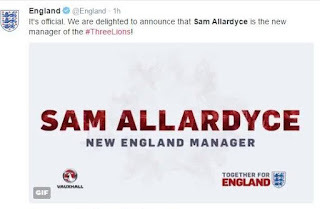 Sam Allardyce is the new manager of the England National football team. He was appointed today after days of negotiations with the English FA and he’s been tasked with restoring the football glory once associated with the English team as the F.A don’t want a repeat of the awful showing at Euro 2016 were England exited at the hands of minnows Iceland. “I am extremely honoured to be appointed England manager especially as it is no secret that this is the role I have always wanted,” Allardyce told TheFA.com. “For me, it is absolutely the best job in English football. I will do everything I can to help England do well and give our nation the success our fans deserve. In taking the reins of his country, the 61-year-old is handed his first opportunity to represent England, having never won an international cap during a two-decade playing career. 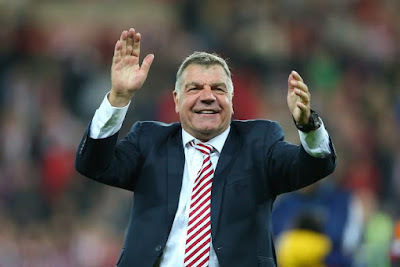 ‘Big Sam’, as he has been known throughout his managerial career, took the role after steering Sunderland clear of relegation from the English Premier League.